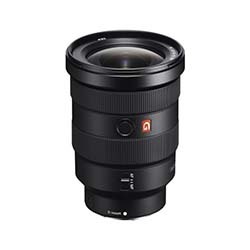 The Sony FE 24-70mm f/2.8 GM is a wide angle to short telephoto lens designed for E-mount mirrorless cameras. A fast standard zoom favored for its versatility, the Sony FE 24-70mm f/2.8 Lens is a wide angle to short telephoto lens designed for Sony E mount mirrorless cameras. 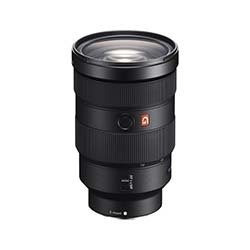 Featuring a constant f/2.8 maximum aperture, this lens maintains consistent performance throughout the zoom range and benefits working in low-light conditions and with selective focus techniques. 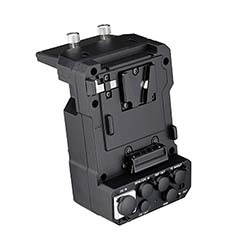 Pairing a sophisticated optical design and versatile speed, this standard zoom is well-suited for use in a wide array of environments and lighting conditions. Covering wide angle to portrait-length perspectives. XA element with superior surface precision to effectively reduce astigmatism, field curvature, coma, and other monochromatic aberrations from imagery. A Nano AR Coating has been applied to reduce surface reflections flare, and ghosting. 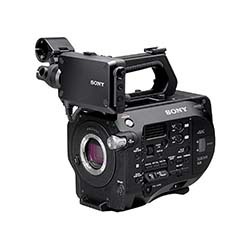 The lens is fully compatible with most Sony E-mount cameras.